Find the biblical answers you need at your fingertips! Using the same information-rich format he pioneered in his popular bestseller, The Bible Made Easy, Water packs the key components of effective witnessing, the "hows" and "whys" of prayer, nine keys to knowing God's will, and much more into these handy-sized resources! An Easy-to-Understand Pocket Reference Guide. 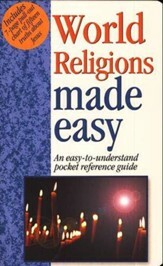 This pocket guide is perfect for those interested in learning how to study the Bible, maybe for the first time. It takes novice Christians by the hand and leads them on a variety of study tours through the Bible. 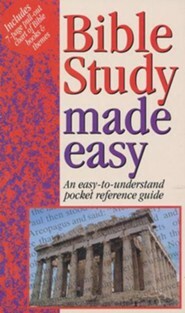 The reader will learn how to study a book or person of the Bible, a Bible topic or a specific word. 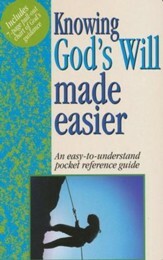 Bible reference tools are discussed. 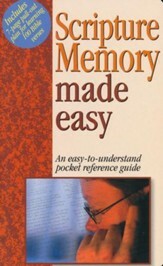 Thirty-one different topics are covered in this helpful little manual. 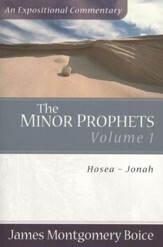 Full-color page spreads and a 7-page pull-out chart of Bible books and themes allow the reader to see interesting, important Bible information at a glance. 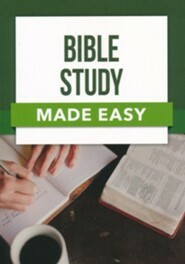 This inexpensive, useful tool can help people begin to learn how to study the Bible. I'm the author/artist and I want to review Bible Study Made Easy.